Umuahia, Abia State; serving the local student and professional population. To be established in December 2017, the business will be operating a storefront as well as a catering kitchen, specializing in event like chin- chin, peanuts and small chops packages. The establishment seeks to expand operation by opening a production unit in Umuahia, and expand the existing confectionery into a wholesale establishment. This business will serve the host of communities and students attending the nearby universities. Umuahia city is a very popular destination because of the concentration of homes, businesses and educational institutions. The company is a traditional confectionery, baking a large variety of chin-chin and other baked foods according to customer taste and requirement. All our products are prepared fresh everyday with locally grown ingredients. The business will be registered as a sole-proprietor business with the name “CHIN-CHIN NIGERIA”. Mrs. Nelly, with an extensive experience in chin-chin production and business management, will serve as the managing director of the business. The company plans to expand operations and business by increasing its production capacity at the end of second year of business activities. CHIN-CHIN NIGERIA offers freshly baked products such as chin-chin, cakes, peanuts, bread-bons, doughnuts, meat pie and confectionaries. The business will be started largely by owner’s funds. It plans to fund its expansion through a loan purchase from commercial banks and friends or family. The funds are mainly required to open a production unit and expand the existing bakery into a larger wholesale establishment. In Umuahia and the eastern region, were there are high-end bakeries that offer confectionary house delivery services, this provides CHIN-CHIN NIGERIA with a unique experience and opportunity to introduce its special products to the market. CHIN-CHIN NIGERIA will serve individual and retail market of 25,000 potential customers and a wholesale market of a 20 restaurants, cafes, etc. The visible competitors of CHIN-CHIN NIGERIA in Umuahia city are Sweet bakery, Ugo Baked Food etc. who are striving in the baking food industry in the town. CHIN-CHIN NIGERIA will be providing the Umuahia city and community with high-end baked products made from local supplies. CHIN-CHIN NIGERIA’s customers’ value proposition is to provide individual and business customers in the environment with baking goods based on fine quality, supreme taste, unique and original design, as well as storage instructions. As a differentiated product and service provider, CHIN-CHIN NIGERIA will be positioned at a lower price point to penetrate the market. Mrs. Nelly is the founder of CHIN-CHIN NIGERIA. Nelly has extensive experience in the bakery industry having works as a caterer. She is also a MOUAU ENT Trained Entrepreneur. She is an undergraduate student of Accountancy at Michael University of Agriculture, Umudike. Nelly prides herself on her supreme customer service and greeting everyone with a smile. With such immense experience, CHIN-CHIN NIGERIA is sure to gain attraction in the State. The businesses of CHIN-CHIN NIGERIA will serve as a source of living to the founder. It will also provide employment to seven (7) individuals. As a baking food establishment, it will be a place of succor to individuals whose choice of feeding is mostly snacks and fast food supplements. To provide our customers with Nelly’s recipes with a modem twist to satisfy the taste buds of the current and the future generations with a dash of excellence, a pinch of quality and a scoop of creativity by a team of passionate individuals. To be the best friendly neighborhood bakery with a vision to become the reference for best chin-chin and confectionery around which our customers celebrate all their lifetime events or just in the mood to have a sweet treat and to be socially responsible. CHIN-CHIN NIGERIA considers its business as a startup, but one that will expand. The company’s objective is to start the business in one location and then add new branches in different areas. We are a part of the chin-chin and confectionery industry that intends to “go green” and maintain a friendly environment. Excellent customer service, high knowledge of the business, and experience will be at the core of the CHIN-CHIN NIGERIA business. To achieve a sales turnover of N1,500,000 in year one. A gross profit of N600,000. A net profit after tax of N570,000 by the end of year one of our business operation. To open three additional branches in Umuahia by our two years in business. 1. Offering quality, tasty, and colorful products at an affordable price. 2. Offering event and home delivery services to clients. 3. Meeting up with customer’s specific requirements. CHIN-CHIN NIGERIA Company as a sole-proprietorship is in the commencement stage of operation. We intend to acquire business shop, baking machine, personnel, etc, to fast track the operation of the business. In order to be a recognized and government licensed business establishment, we are processing the necessary documents needed to register the business with the Corporate Affairs Commission (CAC). And to obtain a business name, we budget to spend N15,000. And also to obtain business permit or operation license from the local Government authority, we intend to spend N2,000 per annum. 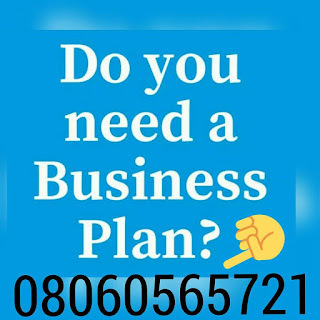 After payment text your name and e-mail address to 08060565721 and you’ll receive your CHIN CHIN PRODUCTION BUSINESS PLAN / FEASIBILITY STUDY IN NIGERIA.